Noreen Spillane, chief operations officer, UL Hospitals presents the O'Higgins Medal to Meelick's Dr Dermot Murphy, flanked by Professor Don Barry, president of the University of Limerick and Professor Niall O'Higgins, chairman of the Board of UL Hospitals. 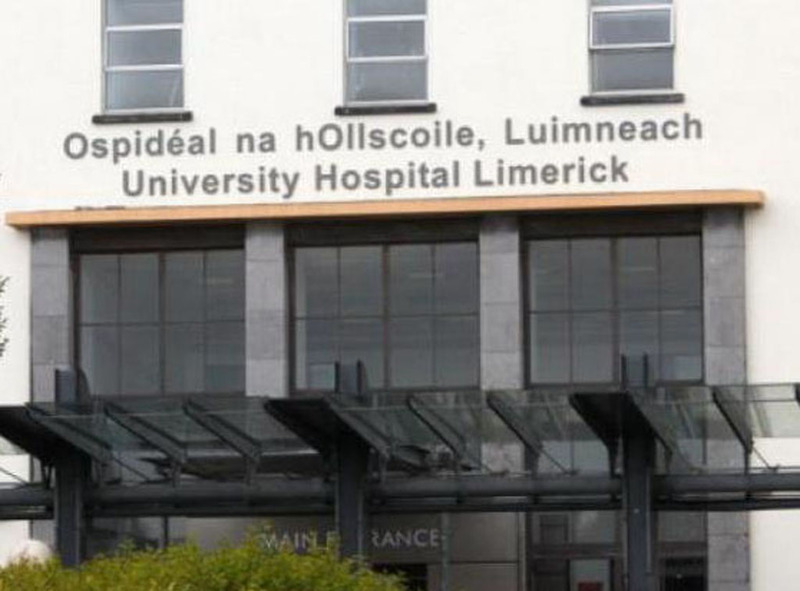 A MEELICK doctor has scooped a major honour awarded by the University of Limerick (UL) Graduate Entry Medical School. 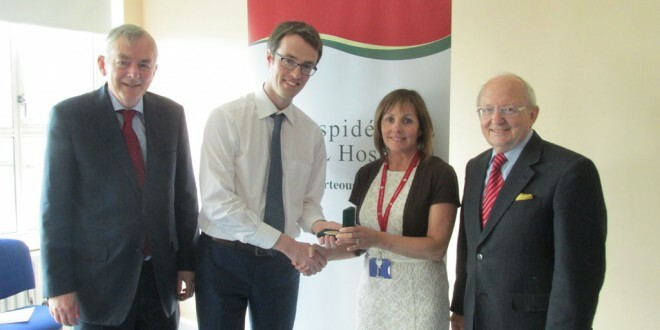 Dr Dermot Murphy, a native of Old Cratloe Road, Meelick and a recent graduate of the UL Graduate Entry Medical School, has been presented with the inaugural O’Higgins Medal at University Hospital Limerick (UHL). Dr Murphy has just commenced his intern year at UHL and is looking forward to working with the medical and surgical teams there. He will commence his work in the areas of general and vascular surgery. The award is supported by Professor Niall O’Higgins, chairman of the Board of UL Hospitals. It was approved and supported by the UL Hospitals’ chief academic officer and foundation head of the Graduate Entry Medical School, Professor Paul Finucane and the UL authorities at the Graduate Entry Medical School. Dr Murphy said it is an honour to receive the award. “I was genuinely surprised and delighted to be recognised by the UL Hospital Group for my studies. 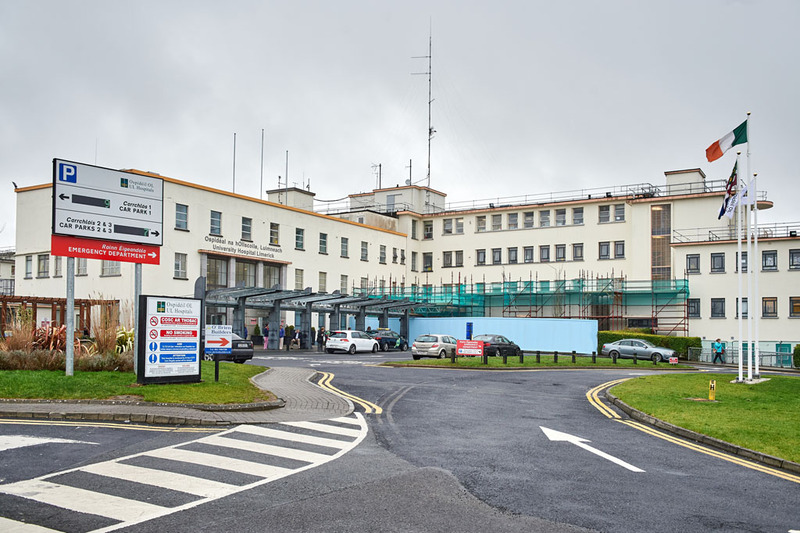 Whilst at the Graduate Entry Medical School, UL, during years three and four of the programme, students are placed in clinical settings; I was at UHL in that time and developed a keen interest in surgery whilst there. “I am looking forward to further developing my skills in this area whilst working as an intern at UHL,” he said. UL Hospitals is partnered academically with UL and works closely with the Graduate Entry Medical School to provide undergraduate and postgraduate education and training across several campuses and in several disciplines. The O’Higgins Medal is a new hospital-based award presented by UL Hospitals to the Graduate Entry Medical School, UL graduate with the highest mark in their final examinations in the combined subjects of medicine and surgery. UL Hospitals will award the O’Higgins Medal each year from now on to a graduate, to be commemorated on a plaque installed in UHL. Professor O’Higgins paid tribute to Dr Murphy on his outstanding achievement and wished him continued success in his medical career. He said this new award is a symbol of how the UL Hospital Group is working closely with the University of Limerick and the Graduate Entry Medical School. “Continuing education and training are necessary parts of good medical practice in the process of improving the quality of care given to patients. I am delighted that the hospital and the university are so strongly supportive of this award,” he said. Noreen Spillane, chief operations officer at UHL, joined Professor O’Higgins at the inaugural presentation. She said the staff are delighted to welcome Dr Murphy to their clinical staff at UHL and acknowledged his achievement. “As an established teaching hospital, we have a long association with UL, which we are very proud of and our inaugural O’Higgins Medal is one way of formally recognising this association,” she said. 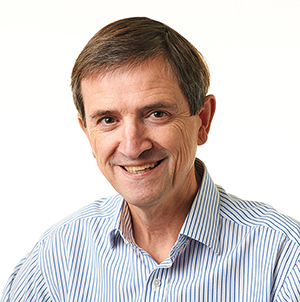 UL president, Professor Don Barry said at the university they currently reward their Graduate Entry Medical School graduates for best performance in the individual disciplines. “This new UL Hospitals award, the O’Higgins Medal, is a hospital-based award for the medical and surgical disciplines and it is a symbol of the close relationship between UL and UL Hospitals. I am particularly delighted that the first recipient is a student in the Graduate Entry Medical School whose primary degree was a BA in History and English. This indicates the extent to which graduate entry opens up medicine to people from diverse backgrounds. We wish Dr Murphy every success in his future career,” he said.